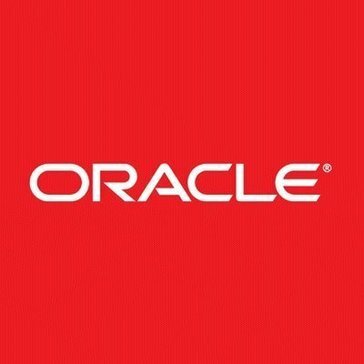 Work for Oracle Big Data Cloud Service? Learning about Oracle Big Data Cloud Service? Helped bring our 20+ different data sources into one manageable "data lake". In addition, Oracle Big data makes it easy to integrate our autonomous processes which we used for reports. The implementation took very long for my small team to implement. However, once we got this off the ground, it has been smooth so far. Implementation was easier once we contacted Oracles Support. However, with the high cost of running such a project, we had to stop our evaluation. If your team has the resources to integrate Oracle Big Data, you would be able to save analysts time. However this may not be likely with a small business like mine. Once Oracle Big Data is implemented, Oracle administrators and analyst have one easy data source to pull from, saving them several hours of work on the ETL process for data. "Oracle Big data good enterprise Database and it is widely used in the world"
It has PL/SQL which makes it more reliable and useful all banking transactions used this database so this is the heart of all enterprises. I recommended to all industries and enterprises use the Oracle database.it is secure and easy to use. sometimes it goes hang it not suitable for small hardware because it produces space issue and speed issue so it requires huge hardware configuration. we solve many types of business problem like handling all types of customers data according to the choice and we implement all keys and joins to fetch all record so we gain our customers trust it increase our profit and existence. "Nice technology but difficult company to work with"
Lot of integration with the usual RDBMS technologies, its easy to use and lot of intutive techineques to run AI and R. There are number of learning and processing algorithms. There is a big lack of trust when using oracle software. technology is fantastic but there is a huge trust issue. Customer relationship between oracle and its customers is disfunctional. Account managers are rotated everytwo years and its almost impossiable to get any clarity. Please start by being honest with your customers and open about things and stop exploiting your monopolies. Running data insight from large data sets. You can use this software for storing large amounts of data. The tool is very user-friendly, so it doesn't take too long to learn how to use it. I have had some issues with Oracle Big Data hanging, especially when I use a PC computer. Other than that, it works great. I have used this for HR Analytics. I can use this tool for analyzing large amounts of data pertaining to employee performance and engagement. so far we are fine with the feature provided by this. One of the best things with Oracle BigData is you can easily scale and filter through data quite fast, rather than other competitors. Usually using such a product takes quite a bit of time, but with OBD, it's quite fast. The fact that its not too user friendly. Easy to work and manuever the tool without and easy to memorize. I don't really dislike anything, it really works great for me. There seems to be an infinite number of possibilities to integrate with fields as Finance and Analytics. Streaming applications are pretty viable. At times, lot of development and redesigning is needed at tuning. More control over the cluster groups and infrastructure would have made the product better. Financial services and planning for research projects. "Rapid implementation of a fully secured Hadoop cluster"
it is the only feasible software to consolidate data and get the higher performance at lower computational cost. i had issues with finding the right software components i seek. I can record and analyse numerous genomic configurations. All different kind of connectors for kafka, etc. One place to do all things from ingestion to Analytics. Streaming applications are also viable. More control over the cluster and infrastructure would be good. * We monitor all Oracle Big Data Cloud Service reviews to prevent fraudulent reviews and keep review quality high. We do not post reviews by company employees or direct competitors. Validated reviews require the user to submit a screenshot of the product containing their user ID, in order to verify a user is an actual user of the product. Hi there! Are you looking to implement a solution like Oracle Big Data Cloud Service?